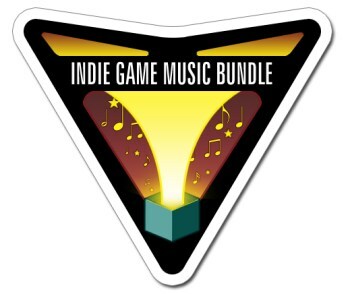 The addition of four new albums, donations to charity and an extension through the rest of today has taken the Indie Game Music Bundle from awesome to ultra-awesome! We brought your attention last Friday to the amazing, one-day-only "pay what you want" sale for the Indie Game Music Bundle, a collection of full-blown soundtracks from indie releases including Super Meat Boy, Minecraft, Wind-Up Knight and many others. The full ten album collection could be had for as little as a dollar, while those willing to pony up at least ten bucks get another four bonus albums as part of the collection. But if there's one thing we've learned about indie bundles, it's that there's always something more just waiting to be tossed onto the pile. And so it is with the Indie Game Music Bundle, which thanks to unexpected demand and some surprisingly fortuitous PayPal issues has been extended through to the end of Cyber Monday, which for those of you unfamiliar with ridiculously-named American shopping days is today. The deal isn't just longer, it's sweeter, too, because for the final day of the sale, four new CDs have been added to the mix: Circle by C418, which was created for a game that was ultimately canceled, the Bitejacker soundtrack Undead On Arrival by the Hyperduck Soundworks, the Cardboard Box Assembler! OST by anosou and Remedy, an album released in support of the Songs for the Cure charity for cancer research. To further support the cause, the team has decided to donate a portion of its earnings to cancer research and has also added an option to allow anyone to donate $2 to Child's Play, which will count toward the minimum $10 cost for all the bonus stuff. Speaking of which, members of the Ten Dollar Club now have the option to download most of the albums in FLAC format as well as MP3. If you've already kicked in your tenner you'll be given access to all the new stuff automatically and if you haven't, well, you might want to get on with it. www.gamemusicbundle.com is the place to be - it's a ridiculous deal but there's only 15 hours left, so don't miss out!